Securing auto financing shouldn’t be like pulling teeth. But, figuring out the best interest rates, determining your budget and then finding the right car can start to induce root canal level stress. At Marine Chevrolet we understand your pain. That’s why we have a team of auto finance experts that will take the headache out of the process for you. They’ve spent years working with customers from Jacksonville, Sneads Ferry, Camp Lejeune and all over Carolina to secure auto loans. So, regardless of your credit, we can help. If you have a pristine credit history, we can help find lower interest rates. If you have less the perfect, or even bad credit, we’ll do our best to help you secure a loan. So, complete our auto finance pre-qualification form to start the process of getting a car loan today. 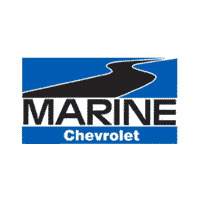 Apply for vehicle financing with no obligation at Marine Chevrolet. Even if you’ve already secured a loan from your bank, we may be able to find you a lower interest rate. Click the link below to Apply for a loan, and we’ll get back to you to discuss your financing options.